We Replace the worn Needle Jet (Emulsion Tubes) with GMan Custom Needle Jet to make your carbs new. we will rejet your carb if needed! We guarantee our Needle Jet from wear as long as you own your bike! Needle Jet Replacement with GMan's Custom/Proven GMan Exclusive Needle Jet. Rejetting carbs per your recommendation. 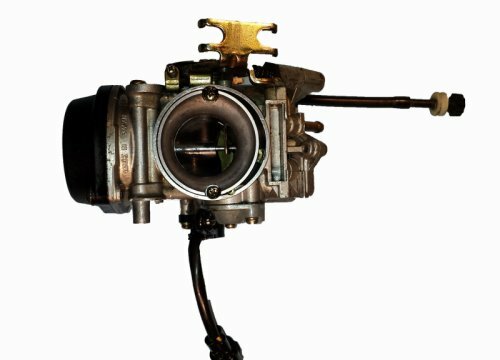 You simply remove and ship your carb. When they return you install, ride and enjoy. This will replace that worn Needle Jet and allow for the best mileage and performance possible, based on your right wrist! Procedure: Place your order, remove your carb, drain all fuel, seal in 1 gallon Zip-Lock bag, add generous amounts of packing in box and mail via United States Postal Service (USPS) Priority Mail Flat Rate adding insurance for security. We guarantee GMan's Needle Jet won't wear out for as long as you own your bike. Review: They did a Needle Jet Rebuild service on the Mikuni carb for my 04 Volusia and it was as they stated. The did the stage 1 re-jet, cleaned, replaced jets, inspected, and set the carb to its new specs. I didn't have to adjust a single thing. All I did was answer their 3 questions and ship it. They had it done and on its way back in 1 week. The bike now has more power and torque and runs better than before. GMan has their business together and knows how to take care of their customers.